It’s our first time buying at this fair for about 10 years,” said Carrie Jane Pogoloff, owner of an interior design business in Dallas, Texas. She was talking to ATG at Arthur Swallow Fairs’Antiques & Home Show on April 3, hosted as usual at Lincolnshire Showground. What isn’t usual is that the fair is now held on one day, rather than two, and has moved from its Monday- Tuesday slot to Wednesday. That’s just a day ahead of IACF Newark on Thursday and Friday, held at Newark Showground 18 miles down the road. Richard Burgoin, director of Arthur Swallow Fairs: “We listen to what people say and adapt to these changing times”. 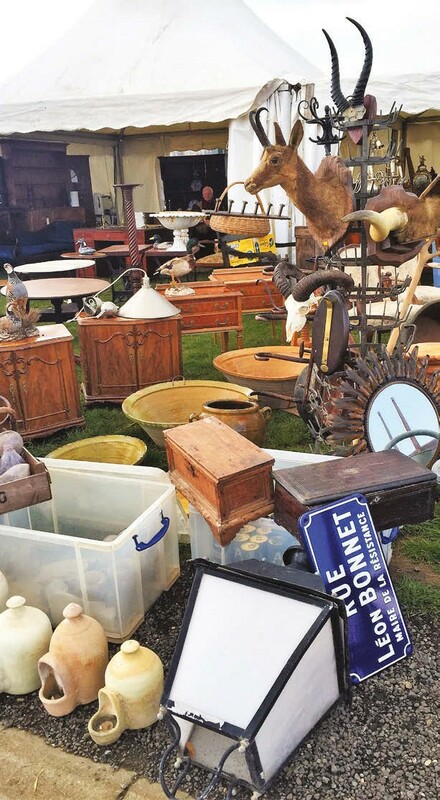 Richard Burgoin, who runs the organisation with his brother Marc, said it had been “a big decision” to condense Antiques & Home into one day, next to IACF Newark. He added: “The move means we’ve reduced our overheads – that includes the cost of hiring the 200-acre showground itself – and have passed those savings onto exhibitors.” Stall and marquee prices have been cut by as much as a third, so that the cost of an outside stall is now £90 inc VAT, down from £127, and a table in the Epic Centre is £90 inc VAT, down from £150. 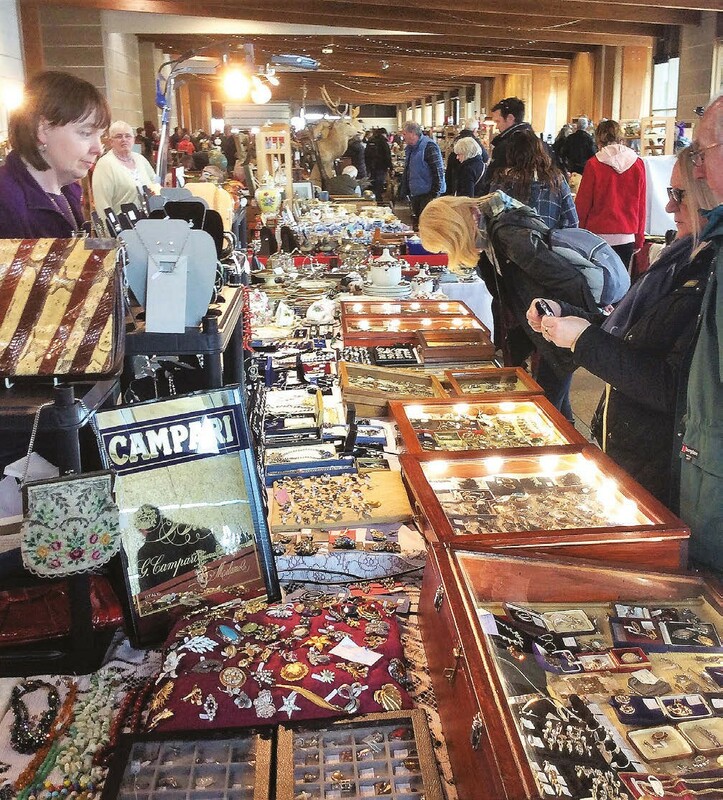 For trade buyers, switching weekdays presents the potential of three consecutive days of purchasing in Lincolnshire – a convenience that had gone down well with buyers at the fair. “For overseas dealers, it’s complicated,” said Charles Center, a Belgian dealer based in Portugal, who sells furniture and garden statuary. “There was always a gap of a day. I have so much gear here and tomorrow at 5am at Newark we’ll have to unload again.” As Center spoke to ATG, a queue of buyers had formed. He smiled, acknowledging the faster pace of buying at a one-day event, and promising to “give the new format a try”. Fair regulars reported that van and lorry traffic seemed heavier than at previous Antiques & Home shows, as buyers reacted to a tighter purchasing timeframe. Trade buyers entered at 7am, followed by private purchasers at 9am, with both groups speeding around to make purchases. 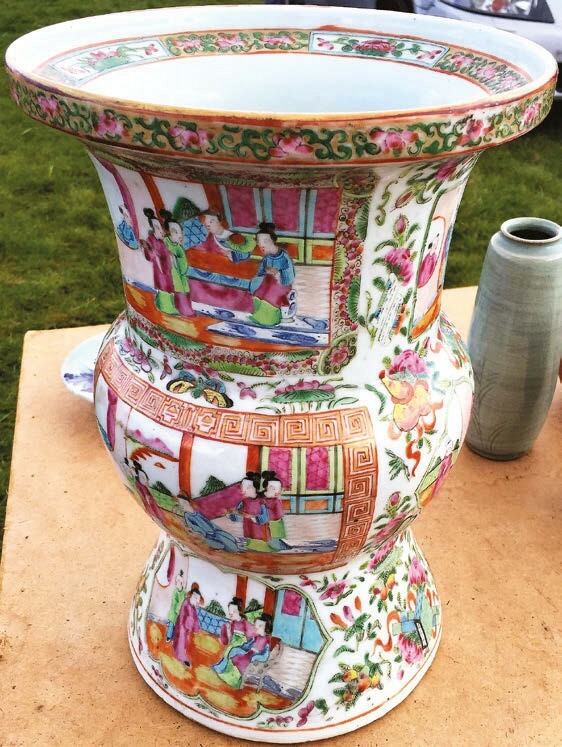 Organisers estimate that nearly 1000 sellers stalled out for the inaugural one-day Antiques & Home, up 15% on the previous show. At the fair’s end, as stall holders queued to pay and rebook for the next on 29 May, Burgoin was relieved at the “mainly positive” feedback he and his team had received about the new format.